"This dish is easy to make, and full of flavor. The chicken is incredibly tender, and the ginger, garlic and soy sauce combine to give it its authentic taste. Garnish with chopped fresh cilantro." Iloved the flavor of this recipe . What I did not like was the linguine noodles. 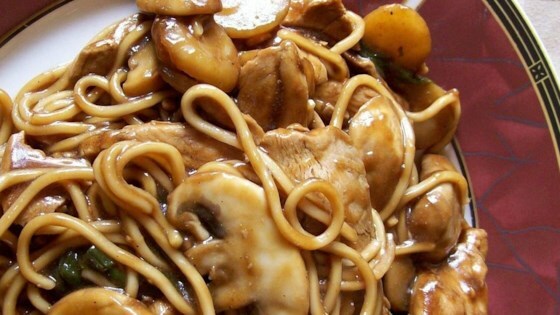 I will use this recipe again,but use chinese noodles instead. I did like the recipe quick fast and inexpensive.